A full service Air Conditioning, Heating, Ventilation, and Refrigeration Florida based mechanical contractor. 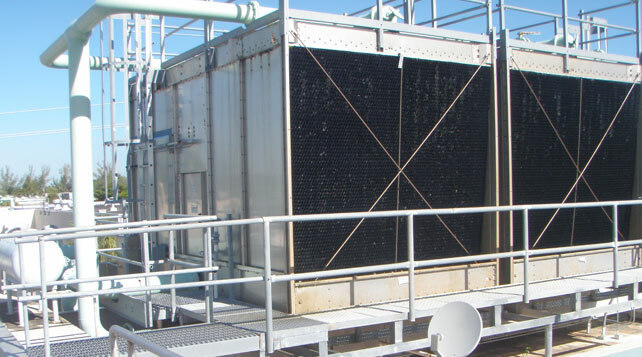 Project consisted of replacing three 1200 ton cooling towers while building stay in operation. We are factory trained on many of the available frequency drives up to 2000 Horse Power, such as Danfoss, Yaskowa, Magnateck, and ABB. We offer preventative maintenance agreements for scheduled inspections and maintenance of all your HVAC-R equipment.